It's been a little more than a week since I returned Laura Lamont's Life in Pictures to the library and I already feel like I've forgotten a lot of it. The story starts in Door County, Wisconsin in the 1920s, where Elsa Emerson's family runs a small theater. Tragedy, hard work, and bleak winters characterize her family life, and when she's seventeen she escapes to Hollywood with a zero who's good only for getting her out of Wisconsin, providing her with daughters, and putting her in a place where she can be signed with a studio. What comes after feels like a pretty typical story-- Hollywood transforms her (literally, changing her name and her appearance) from an innocent young wife to a starlet, with all of the benefits and problems that come with stardom. 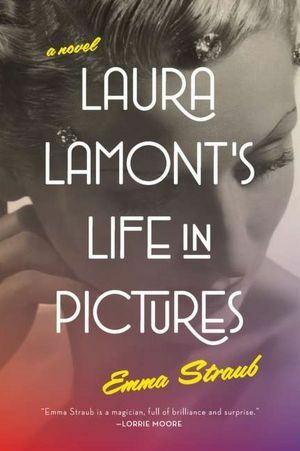 It's an engaging, readable story that would make a great beach or airplane read, but Laura's story feels, like many Hollywood stars of the studio era, to be not that different from what might be expected from someone whose life is lived in the crucible of wealth and fame.